Laurel Allen, Digital-Engagement Manager at the California Academy of Sciences, on the “scrappy, year-long digital rescue” that resulted in more than 700 unusually detailed models—all specimens from the Academy’s scientific collections—finding a home (most for the very first time) on Sketchfab. The Academy is probably best known as an aquarium, rainforest, planetarium, and natural history museum, but despite the collective wonder of those features and the 40,000 animals we’re home to, it’s fair to say the basement is where it’s really at. That’s where you’ll find the Institute for Biodiversity Science and Sustainability, encompassing more than 100 research scientists and nearly 46 million scientific specimens—collections that go back literally hundreds of years. Our exhibits usually reflect that dual role of public museum and research institution, and 2014’s Skulls was no exception. While creating that, we partnered with Google to create roughly 40 models from our collections—a range that included everything from a juvenile Asian elephant, to common warthogs, to Amazon river dolphins—for use in exhibit interactives. 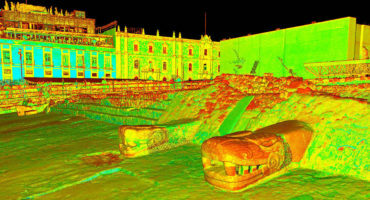 Down in the basement, however, Google had also made a proprietary scanner available to IBSS staff, and some had slowly, quietly began to build an incredible (but largely unknown) 3D library as part of their day-to-day work. In mid-2016, Google’s Cultural Institute (on which our public-facing skulls lived) announced it would soon no longer support 3D objects. Academy interactive developer Greg Rotter quickly scrambled to find a solution that would keep those models accessible, and set out to track down the 40 original exhibit files. What he found instead was more than 900 different models: mammal skulls, bird skulls, starfish, California baskets, fish, fossils, sea urchins, reptiles, mollusks—the result of our staff and collection managers’ earlier quiet work, and overwhelming in both volume and diversity. Identifying a permanent new home for the digital collection wasn’t difficult (“There’s really no other platform that touches what Sketchfab has accomplished in this space,” says Rotter), but what came next was slightly less straightforward. The collections data—critical information about what each specimen is, and when, where, and by whom it was found—was missing from the individual models. All Rotter had were 900+ file names, and several terabytes of very cryptic scan data. 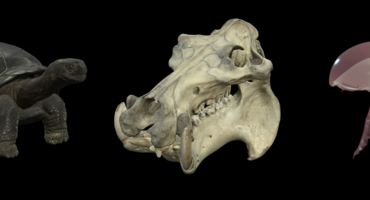 That pairing gave us the correct catalog number for each specimen, after which colleague Kristina Fong and I could start the year-long process of looking up every model in collections databases, then manually copying the specimen’s information over to its Sketchfab model. A handful of the scans had distortions the collection managers weren’t comfortable with, and another large handful were still missing identifying info (we’ll add those as we solve the individual mysteries), but at the end of the process, we had 705 models we’re eager to share. 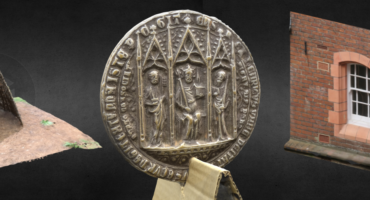 Setting aside the ridiculous visual beauty of many of these specimens, making 3D versions available offers big benefits to both those who want to access Academy collections, and to the collections themselves. The Academy’s Viz Studio also uses Sketchfab to quickly and easily share their work with other partners and collaborators. “Rather than sending someone a flat, static image of a model or photogrammetry project we’re developing,” says Ackerman, we can send them a link to work they can tumble around and scrutinize from all angles.” Viz Studio’s Sketchfab account is a behind-the-scenes look at some truly brilliant science, containing everything from tests of how Viz Studio adapted software meant to simulate crowd-movement to schools of fish, to photogrammetry-built models of the Academy’s 212,000-gallon Philippines Coral Reef exhibit. Whether you’re inspired by 100-year-old skulls or cutting-edge underwater photogrammetry captures, we hope you’ll find something on our pages to like. And if you have time to let us know, that would be pretty inspiring for us, too. Thanks!